North Korea has been conducting air-raid drills in Pyongyang since last Thursday, after the summit with the U.S. in Hanoi, Vietnam collapsed late last month. The next day, the North's Foreign Minister Choe Son-hui warned the U.S. that the bilateral talks may be suspended. The North also indicated that it may end the moratorium on missile tests that it claims has been in place for more than a year. Radio Free Asia reported Saturday that North Korean authorities had been holding nationwide air-raid drills since Thursday to prepare for a U.S. attack. 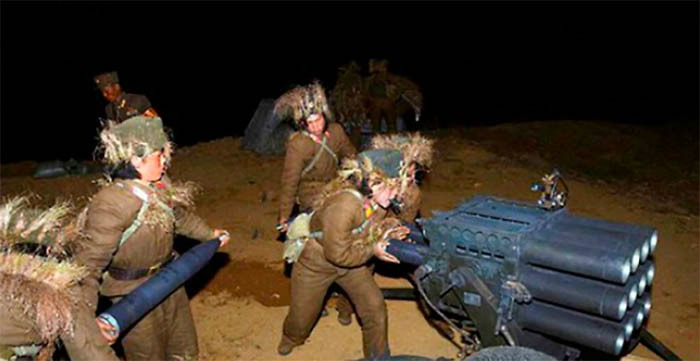 One source in Ryanggang Province told RFA, "Things had been quiet for a while with no air-raid drills or military exercises, but the drills resumed suddenly and created many difficulties for people." "Authorities across North Korea are telling people to get ready for war preparations by the U.S. and South Korea," the source added. But a government source here said, "They could simply be part of winter military drills that were scheduled to last until this month." North Korea state media did not report on Choe's remarks at a press conference on Friday, where she warned that the North could stop talks with the U.S. unless it agrees to "phased denuclearization" by easing sanctions at each stage. There is speculation that she made the remarks only to assuage remaining hardliners in the regime. A diplomatic source said, "Choe said that the military sent thousands of petitions imploring [leader] Kim Jong-un not to give up nuclear weapons, which suggests there is considerable opposition in the military" to diplomacy with the U.S. Meanwhile, North Korea is planning a Workers Party general assembly aimed at bolstering ideological conformity and investigating what party officials did while Kim was away in Hanoi. "The general assembly is being held in order to quell discontent among North Koreans following the failed second summit with the U.S.," a source said. Any missile launch could be shot before the bow of the U.S. Nam Joo-hong at Kyonggi University said, "There is a chance of a North Korean provocation in mid-April, which marks the first anniversary of the Workers Party session where [Kim Jong-un] announced a new policy of pursuing both nuclear armament and economic development." 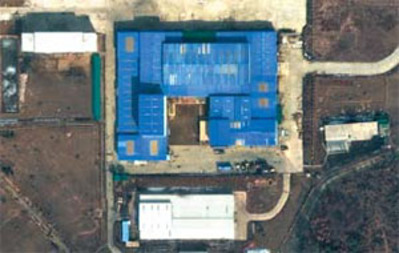 North Korea has apparently restored a missile test site in Tongchang-ri which it promised to scrap last year.